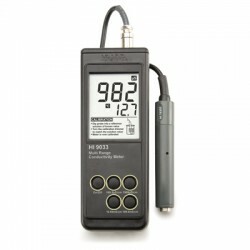 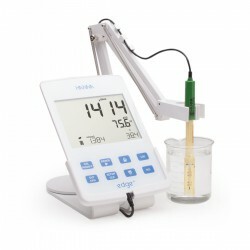 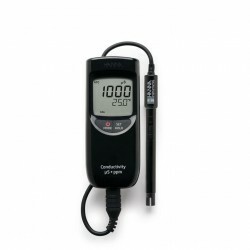 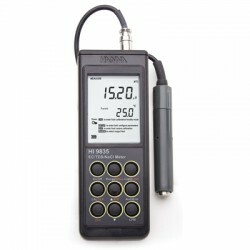 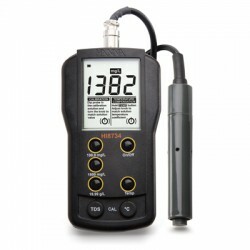 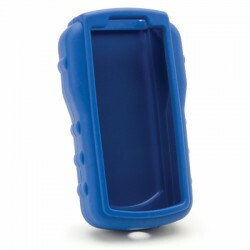 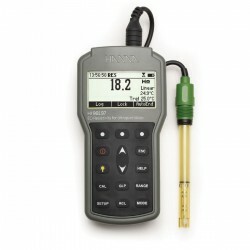 HI 8733 conductivity meter has been designed for use in areas of production and quality control. 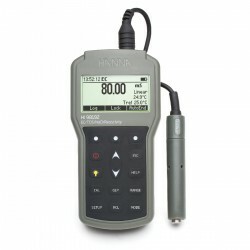 This meter utilizes four ring potentiometric probes that offer greater versatility over typical amperometric designs. 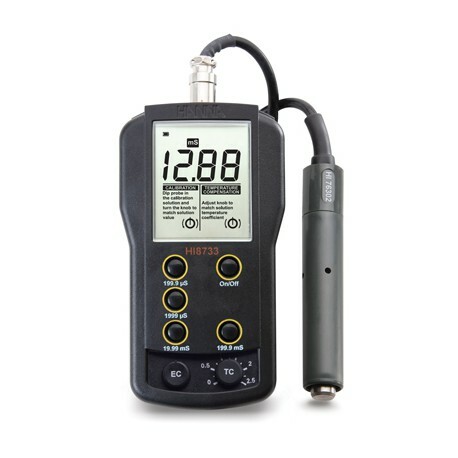 These rugged probes are made of PVC—ideal for indoor, as well as outdoor measurements. 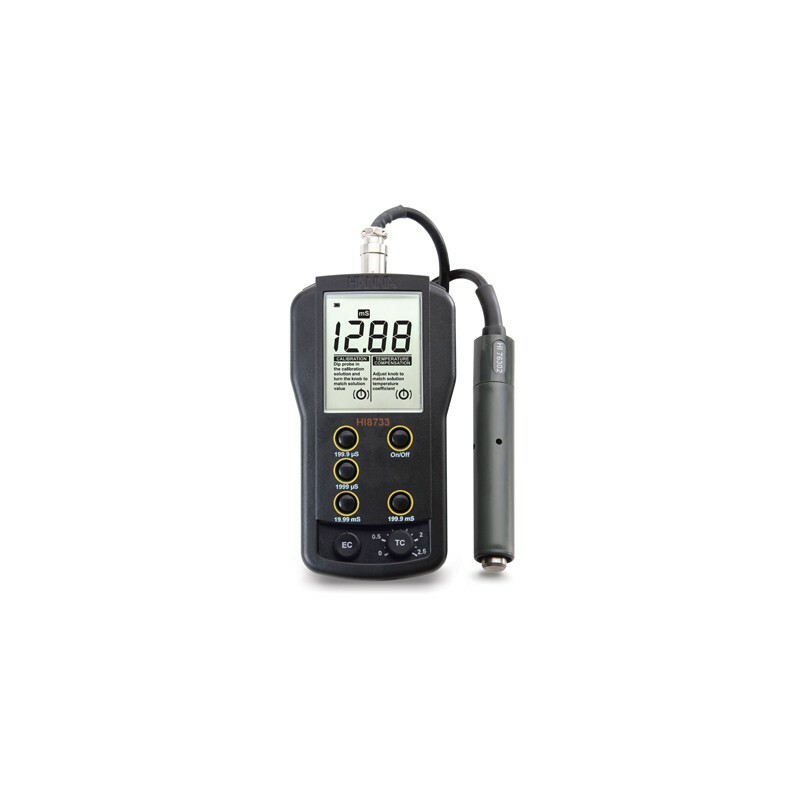 HI 8733’s conductivity measurements can be automatically temperature compensated by using the HI 76302W probe with built-in temperature sensor. 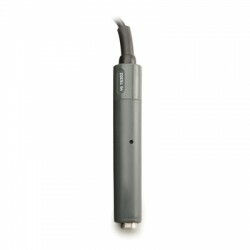 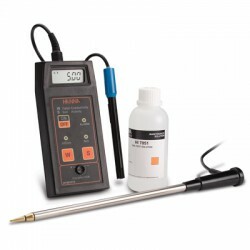 HI 8733 is supplied with HI 76302W conductivity probe, HI 70030 calibration solution 12880µS/cm sachets (5), battery, instructions and rugged carrying case.